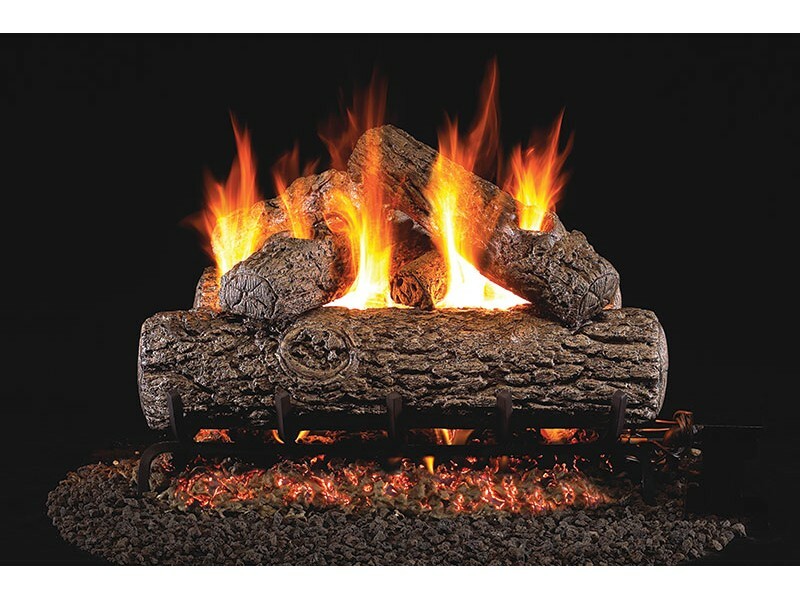 Real Fyre Golden Oak gas logs bring the beauty of nature right into your home. These logs utilize natural colors and high definition bark to bring an authentic wood look to your fireplace. R.H. Peterson logs are made from a high quality ceramic material, steel rods and backed by a lifetime warranty. This set comes with a stainless steel G45 burner system to accentuate the front flame and the ember bed adding a dynamic effect and depth to your fireplace. This set is ideal for outdoor use.